You hear it all the time, you need a scalable cloud solution. Whether in storage, infrastructure, or even cloud accounting; choosing a scalable solution is touted as a top priority in choosing a provider. But what is scalability and why do you need it for your business? Learn more about the importance of a scalable solution from InCloud360. According to EvolveIP, Scalability is a planned level of capacity, with appropriate overhead, that you anticipate your company’s systems to require over time, in addition to the ability to scale in a quick and easy manner when (and if) you need more (or less) resources. In essence, the ability to expand or contract your solution based on need, fitting a planned level of capacity. Contrary to the belief of some, scalability and elasticity are two completely different notions in business. Think of elasticity as, essentially, unlimited head room. When you’re a software developer building SaaS that you plan to offer to the entire planet (such as Facebook, which hopes to have the whole world as users), you need unlimited head room for those unpredictable moments. Elasticity basically means that your platform can handle sudden, unanticipated, and extraordinary loads. Does this sound familiar? You’re an owner of a growing business that continuously increases sales and may even start working internationally, adding additional locations, or hiring more people to work in your accounting department. If this is the case, congratulations, you are making a name for yourself and your business. But what’s next? Increasing business would cause more headaches than you could handle. This is one of the first symptoms of an inflexible, unscalable solution. If this is an issue, or any of these issues arise in your growing business, you may have hit the limit of your current solution. The ability of your accounting software to handle more users, more transactions, more currencies, or more businesses at a controlled and measurable pace seems like an optimal strategy. In selecting an accounting software, you seek headroom, something that could handle anything from the church down the street to a multi-national ecommerce business, and every point in between. Consider the efficiency aspect. What if you could find a solution that allows you to increase processing without increasing staff? Now that you know the value of a scalable solution, it’s time to learn more. Through value-added resellers like InCloud360, Intacct provides automation and improved financial management to businesses of all sizes. 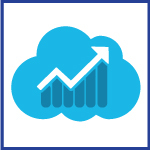 InCloud360 will help you to address the needs of your business surrounding accounting software needs, help you to implement this software and train your staff to properly use this software, and provide consistent support to your organization including assistance to help scale up to meet the needs of business. Call us for a free consultation and to learn more about how our assistance can help your business grow. Read these additional resources and learn to improve business efficiency.